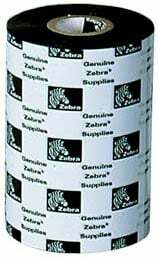 Zebra 3200 Performance Wax-Resin - (2.50 inch x 1,189 feet), single roll. Also available as a case (Part# 800011-002). The Zebra 800011-002-R is also known as ZEB-800011-002-C	or 800011002R	.